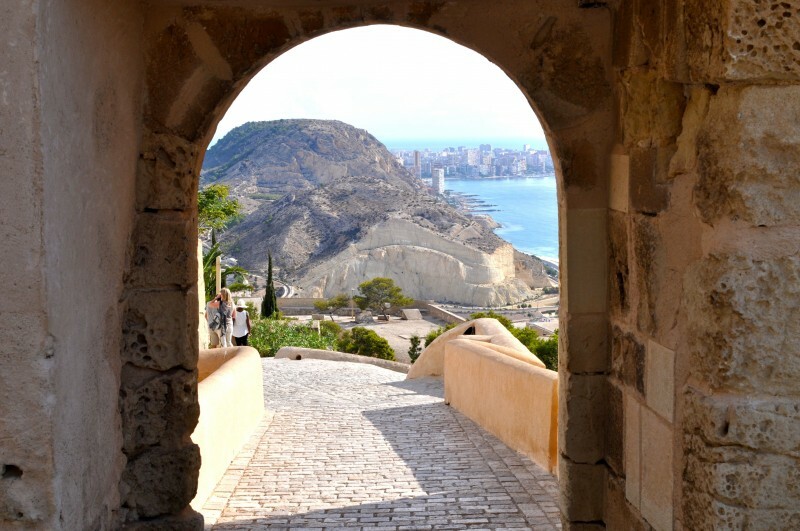 The 16km of coast belonging to the municipality of Orihuela lie around 20km south-east of the town itself, following the CV-95 past Bigastro and San Miguel de Salinas. 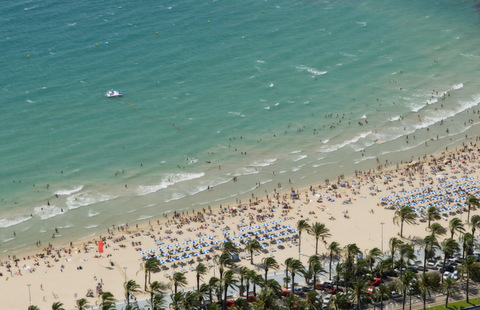 The beaches have for a long time been hugely popular with Spanish holiday-makers from Madrid, Murcia and Orihuela itself, and now attract an ever-increasing number of visitors from northern Europe. 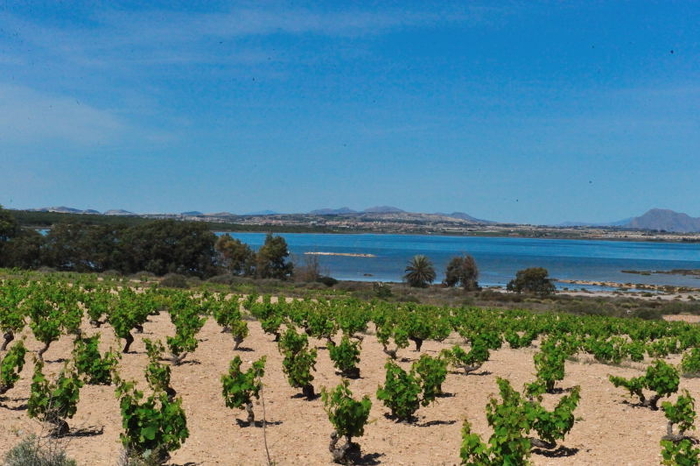 Along the coastline there are extensive residential developments sandwiched between the fine white sand which gives its name to the Costa Blanca and the lush green of the pine groves, especially in La Dehesa de Campoamor. These are now home to five golf courses. Almost all of the beaches are awarded the Blue Flag, and boast all the facilities need to welcome tourists from all over Europe. Water sports are very popular here all year round thanks to the friendly climate, with over 300 days of sunshine per year. Punta Prima: 234 metres long beach,28 metres wide, with low urban density around it. 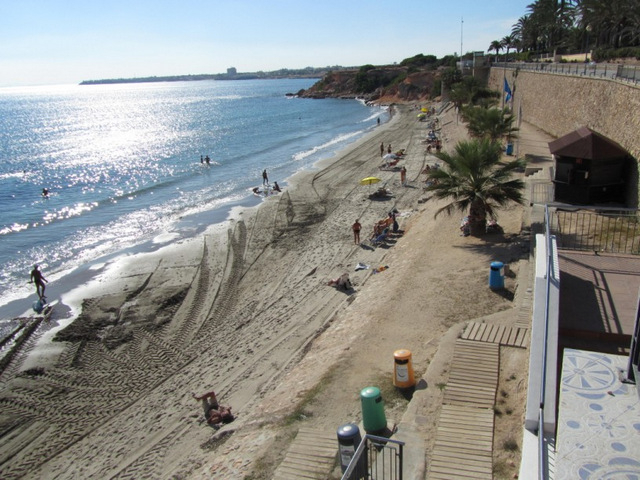 Elevator access to this south-facing beach on the border with Torrevieja gives good access for disabled bathers. 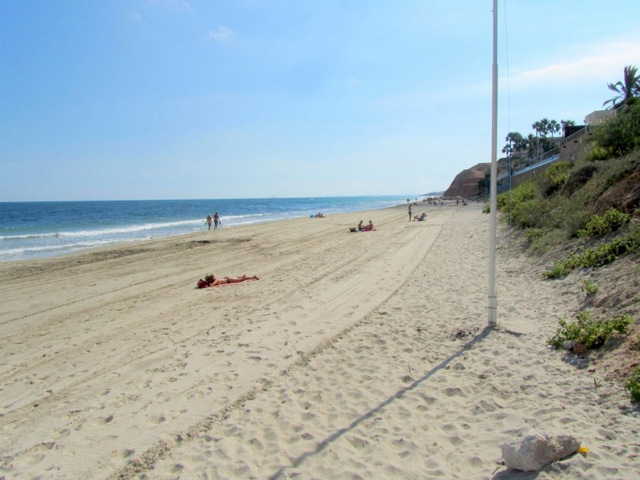 Lower density than other beaches due to the lower urban density of the residential areas which back on to the beach. 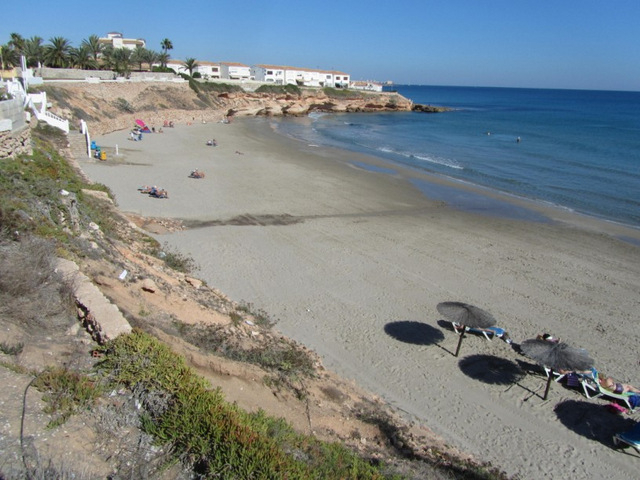 Cala Mosca (Playa Flamenca residential area): Small but beautiful, a lovely destination for a day out, a small beach which feels like a cove, with good facilities and an abundance of soft, fine sand. 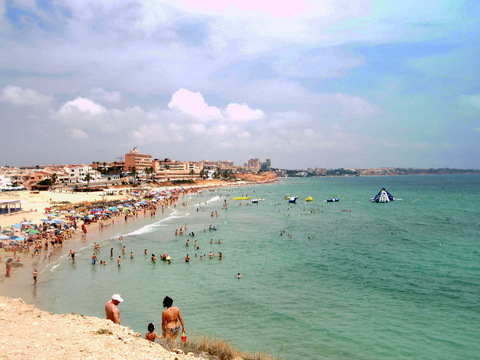 Cala de las Estacas (Playa Flamenca): A popular, small urban beach with shops and bars nearby, lying between the residential areas of La Zenia to the south and Playa Flamenca to the north, a funnel-shaped cove which is easily accessible from the chalets in both areas. The natural accessibility is boosted by a ramp to aid those of limited mobility, and during the summer there are also wooden walkways, an amphibious bathing chair, designated parking spaces and a specially adapted WC at their disposal. Children are also well catered for, with two play areas at the northern end of the beach, and safety measures include lifeguard shelter, watchtower and police vigilance, while for the more active a beach volleyball court is installed throughout high season (from mid-June to mid-September). 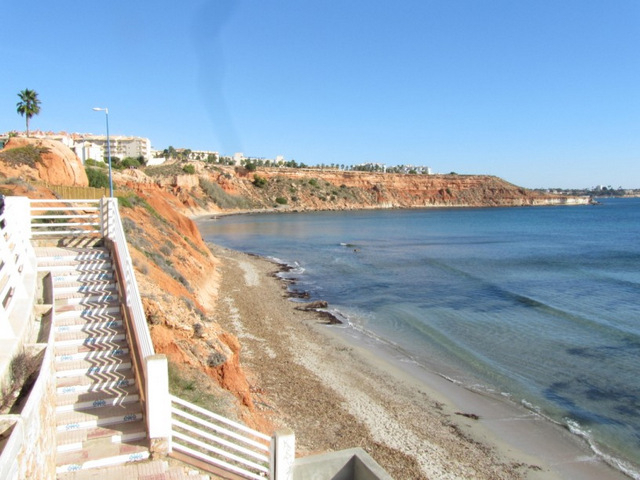 Cala Cerrada (La Zenia): A relatively small beach (only 167 metres long, according to the official description) is one of the two which serve the La Zenia residential area, the other being Cala Bosque, and shares the same easy access from the Paseo del Mar which runs along the seafront. Both beaches are easily reached from the N-332 by heading down towards the shore, and are clearly signposted from the main road. One aspect in which it differs from its neighbour, though, is in the access. Here the Paseo is raised above sea level, and there are stairs down on to the beach. There is a ramp providing alternative access next to the hotel at the southern end of the beach, but this is not always open to the public, and in general the beach is less accessible for those of limited mobility than others nearby. 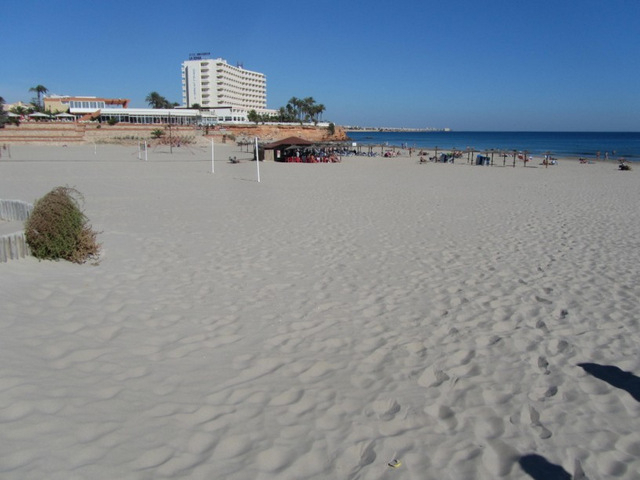 Cala Bosque (La Zenia): Excellent facilities for the disabled and a wide expanse of sand for all sun-lovers. 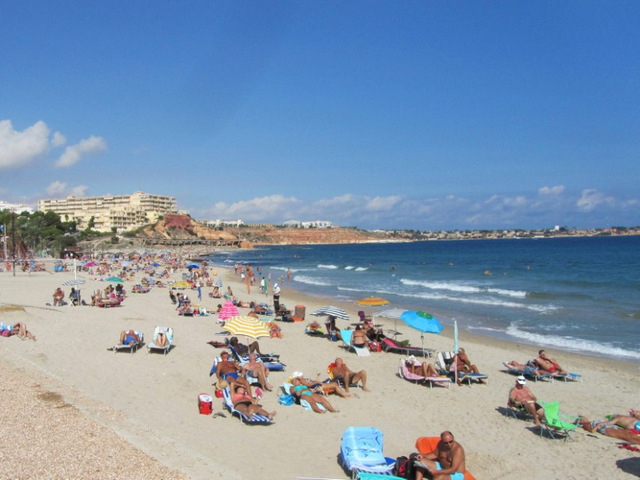 Located next to the popular residential area of La Zenia, this busy beach is most easily reached by turning off the N-332 at the La Zenia roundabout and following the Avenida la Playa down to the shore, although most of the streets in the part of La Zenia on this side of the main road also lead down to the Paseo de Mar. The beach is relatively short at 258 metres – this is a “cala”, or cove, after all – but also wide (60 metres), so there is plenty of space for numerous bathers as well as a beach bar, volleyball court and children’s play area. Sunbeds and sunshades are available for hire, as are pedalos and jet-skis for those who feel like looking back at the picturesque setting from the sea. 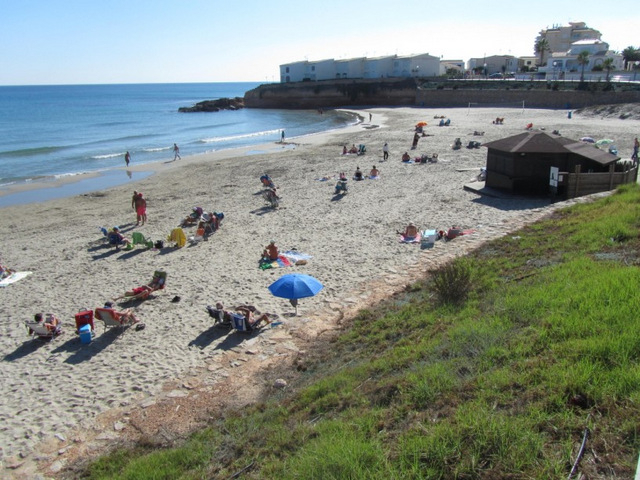 Cala Capitán (Cabo Roig): A beautiful and well-equipped beach to take your breath away! This is a beautiful little beach , and justifiably popular. The beach consists of a cove which is protected by a small island (the Isla del Carmen), and the resultant currents have allowed a large expanse of fine white sand to accumulate here. In fact, the sand now reaches all the way out to this island. Although it is not a long beach – officially measured at just 157 metres – this means that it is very wide, reaching a width of about 85 metres, and all of the sand is carefully looked after even out of high season. La Caleta(Cabo Roig): Safe bathing at the foot of the 16th-century watchtowerThe Cabo Roig residential area occupies a headland jutting out into the Mediterranean, and while the tip of the headland is rocky (as is to be expected), there are beaches on both the southern and northern sides. 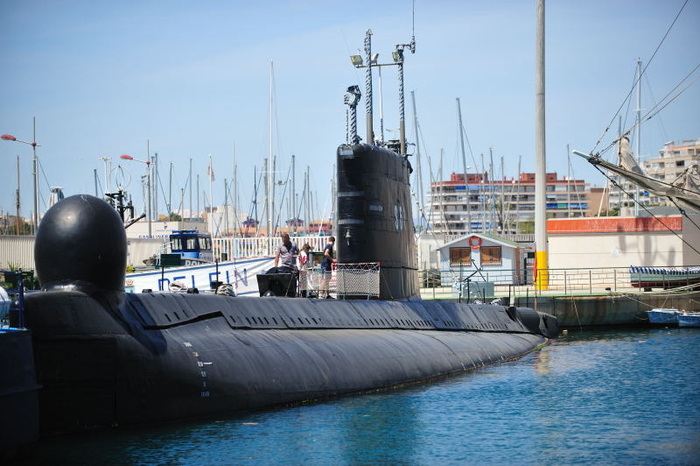 To the north lies Cala Capitán, while to the south is the 387-metre strip known as La Caleta. 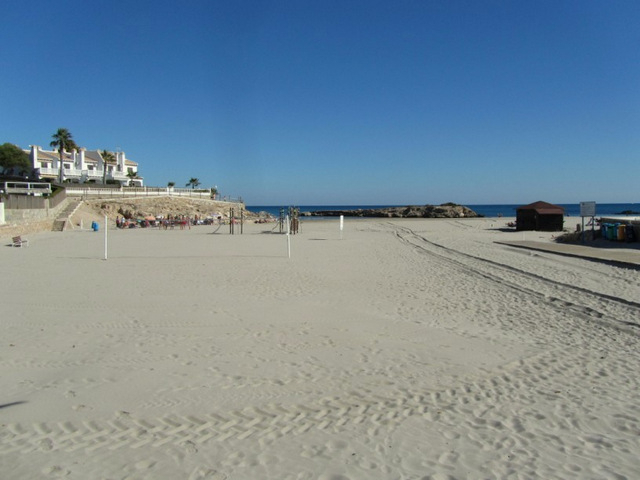 The beach at the southern end is sandy to the south but then gradually the amount of greenery increases and it gives way to a protected “micro-reserve”, which is bordered by the Paseo Marítimo. Among the reasons for this area enjoying protection from urban development is the largest population in Spain of the plant Tribulus terrestris, commonly known in Spanish as “cat’s head”, and there have also been interesting paleontological discoveries in the tiny coves and caves down below. 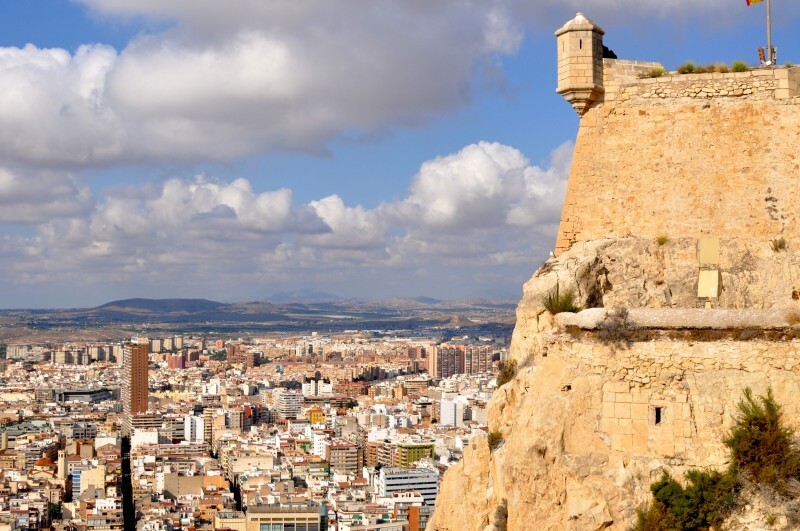 This is one of the longest in the municipality of Orihuela with an official length of 513 metres, and at its maximum it is also 70 metres wide. 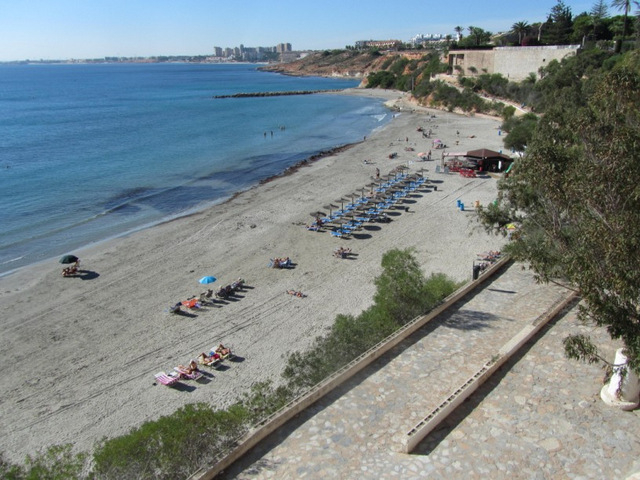 The wide range of facilities make it one of the best equipped of Orihuela-Costa’s beaches, with jet-ski and pedal-boat hire, a children’s play area, sunbeds and sunshades at the disposal of those using the beach bars and complete safety measures (lifeguards, watchtower and first aid point). 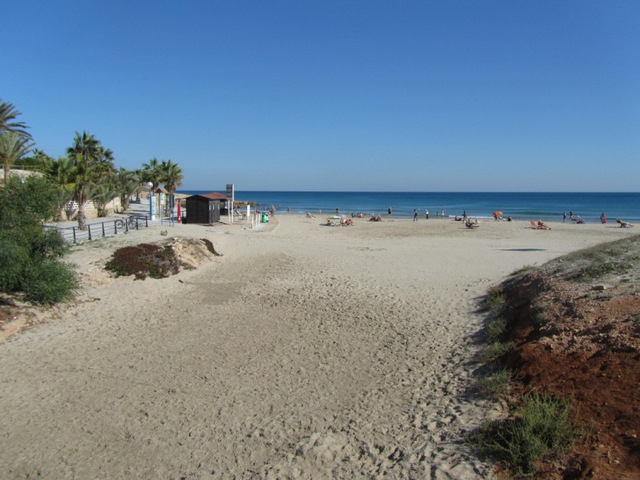 According to the official figures, Playa Barranco Rubio is Orihuela Costa’s longest beach at 655 metres, and although it is not the widest there is enough room to ensure that it is also one of the best equipped and most popular. The last beach on the border with Pilar de la Horadada .Mil Palmeras: The beach of thousand palms, according to the name, is a popular beach and offers all kinds of services to bathers in high season, including safety precautions and lifeguards. 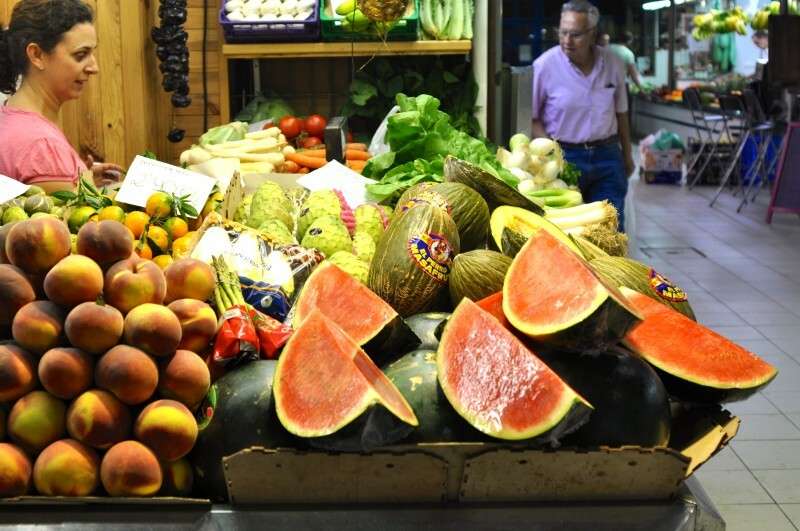 It is a favourite with visitors from the UK and Scandinavia as well as the Spanish, and offers all of the facilities the visitor would expect from such a busy destination, including showers and beach bars.